Designed in classic rainwear form to be a stylish transitional option. The button placket and drawcord hood add authenticity to the look, while a water resistant finish, ensure comfort. 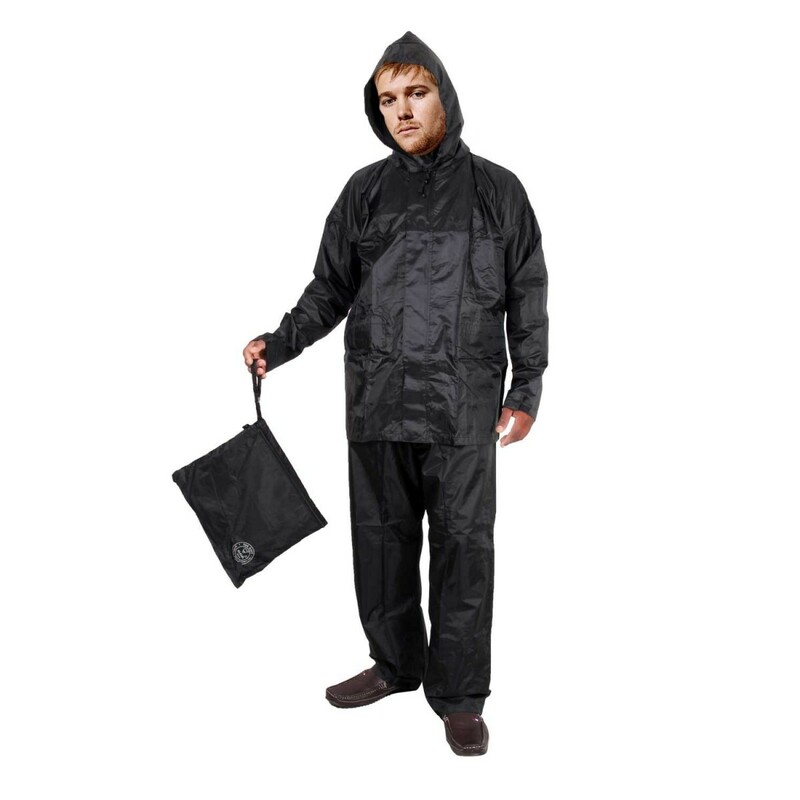 The new and improved Duckback Original Premium Rain Wear keeps you dry and comfortable even in a downpour! The Rain Wear is made from tough 100% polyester fabric that’s treated with a DWR finish to repel moisture and light stains. Plus, it’s fully seam-sealed and topped to ensure total waterproof, breathable protection.Reinforced stitching throughout the Rain Wear enhances durability for long-lasting . The Duckback Original Premium Rain Wear has an attached hood with draw cord adjustment; a full-length front zipper along with flap closure for a personalized fit. Two spacious hand pockets with closures provide ample storage for your essential gear and Comes with pant.Share all your excitement and joy of Rain with this Original product from the House Of Duckback.